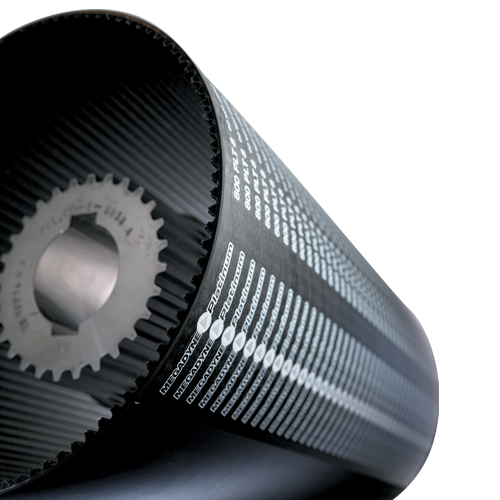 PLATINUM is Megadyne’s premium rubber timing belt. Starting from long experience accumulated with the RPP Gold line, the PLATINUM belt guarantees extreme dimensional stability under static and dynamic tension, coupled with a superior flex fatigue resistance, thanks to the development of its innovative “Dual Core” hybrid cord technology. PLATINUM reaches the highest level of performance incorporating this cord in a new rubber matrix and teeth coated with a special and unique heavy duty fabric. Isoran PLATINUM is the economical alternative to chains and gears, the optimal solution for extreme working conditions. 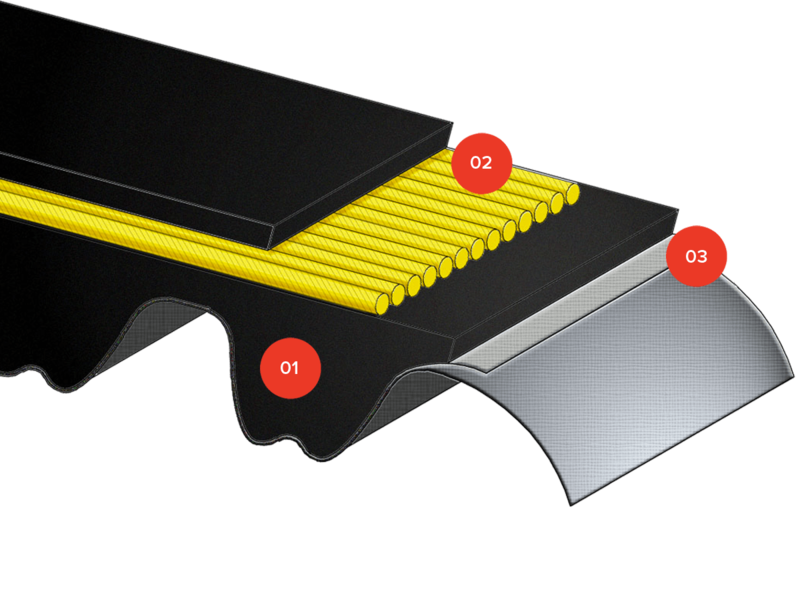 An innovative design and blend of HNBR elastomers, uniquely cross-linked to increase teeth rigidity and shear resistance, up to +25% in comparison to GOLD belts. Despite the high levels of rigidity and hardness, this compound guarantees an exceptional resistance to flex fatigue, preventing the appearance of cracks when working with very small pulleys. The tensile member is made out of the innovative “Dual Core” hybrid cord technology and it constitutes the load carrying elements inside the New PLATINUM belt. The “Dual Core” technology gives excellent characteristics to this cord, which grants to PLATINUM extreme dimension stability under static and dynamic tensions, joined with a superior flex fatigue resistance. A hard-wearing polyamide fabric is bonded to the tooth surface, to improve torque carrying capacity and tooth shear resistance. Its special surface impregnation process confers self-lubricating properties, a lower friction and increased drive efficiency. Are you interested in Isoran PLATINUM?